While surfing around the web, you will find several web hosting options available today as compared to earlier days. All providers offer several features that serve everyone – right from large-scale organizations to micro-businesses as well as individuals, with plans designed that suit all types of budgets. Though cloud hosting is highly available, shared hosting still is the most popular web hosting option. Not only because it’s affordable but also easy to start with. But it’s a fact that shared hosting has several disadvantages such as higher risk of downtime, slower performance, difficulties to scale, problems associated with bad neighbors, and so on. Cloud hosting offers dedicated resources such as memory, processing power, storage space, etc. from a pool of servers. This means the problems that occur with shared hosting are eliminated with cloud hosting. Additionally, cloud hosting works on pay–per-use model so, even small businesses can think of cloud adoption. 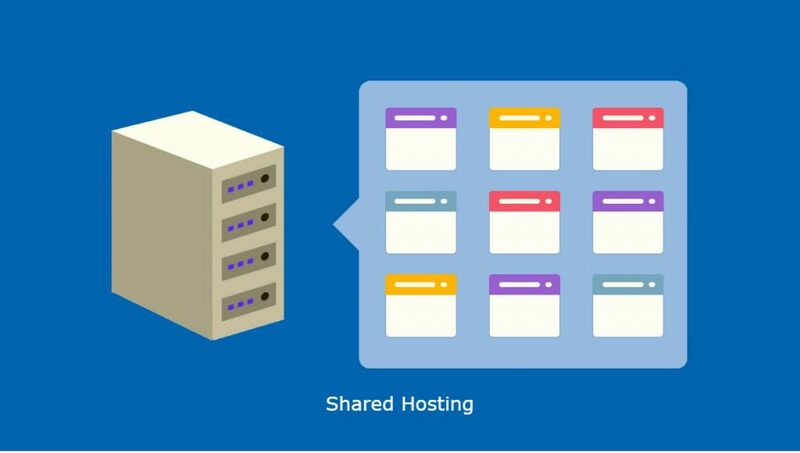 In this article, we are going to compare cloud hosting with shared hosting in terms of benefits and disadvantages of each one. Shared hosting is similar to sharing a condo with your housemates where you all need to share the same space and amenities. But what if the condo is filled with hundreds of housemates? It will be too messy right? 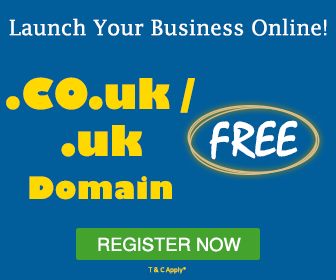 Being the most popular option for a business’s or individual’s first website, primarily shared hosting is affordable as well as beginner friendly. Extra features such as website builders, one-click software installations, and marketing credits are usually included in shared hosting. Beginner friendly: One requires just a bit of technical knowledge to use shared hosting as all the main technical issues are handled by the web host itself. Easy to use: As shared hosting offers easy-to-use web hosting control panel with software and tools that are pre-installed, it is very easy to use. Managed by hosting provider: The web hosting provider takes the responsibility to manage, maintain, and update the shared server. Therefore, there’s no need to be a tech expert. Affordable: Since hundreds (sometimes thousands) of websites are hosted on a single physical server, each of the website shares the similar server resources (CPU, memory, disk space) along with all the other customers on the server. Therefore, the cost is distributed among all the users on the server leading to small expenses. 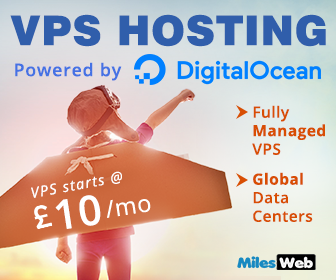 A plus point is that generally there are different options available under the umbrella of shared hosting which makes it easy for the customers to find a plan that meets their requirements. Email Accounts and so on. Slow performance: Suppose if any website on the same server starts using more resources due to traffic spikes, it is surely going to affect your site’s performance, resulting into slow site loading. No guaranteed security: What if other customer’s site gets hacked? It will have a bad effect on your web application too. Additionally, if the security breach disturbs the complete server then your web application will be in a serious threat. For example, in case of a brute force attack on some other website, your website’s performance will surely be affected. In shared hosting, same IP address is shared with all other customers on the same server and if your neighbors perform a wrong action, it will also have an effect on your web application too. Suppose other customer’s website is added in a spammer list and the IP gets blacklisted then all websites sharing the same IP address will also get blacklisted. Difficult to scale: Resources on the shared server are distributed among the multiple websites hosted on the same server. Due to this, the users can’t opt for more resources such as the storage, memory, processing power, bandwidth, etc. No server control: The hosting provider itself is responsible for managing and maintaining the server and has the rights to customize the server. This restricts the users to access the advance server settings. 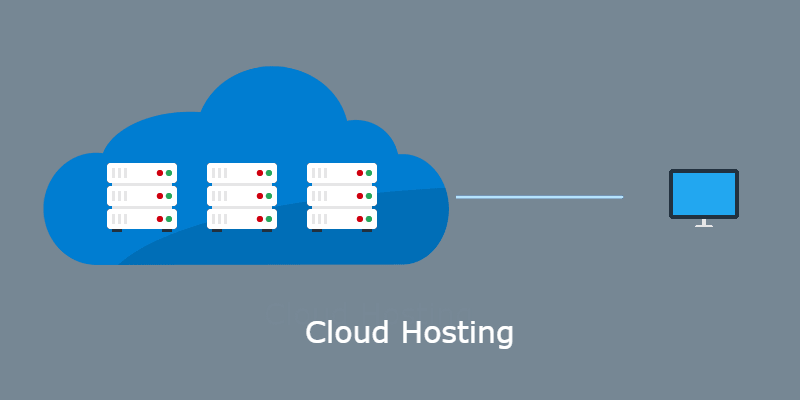 The technology behind cloud hosting is cloud computing which connects a cluster of infinite number of servers to effectively act as one system, basically called as the “cloud”. Related: Understanding What Cloud Hosting Really Means! Cloud hosting is also gaining popularity these days and is ideal for businesses that are growing rapidly and their goal is to achieve performance, security, scalability and reliability. Highly Reliable: A cloud hosting architecture is built with multiple interconnected servers that are used simultaneously which allow your site to function optimally. In case, there is any hardware issue or glitch on your server, your site will be switched to another server without any hassle. This means cloud offers high reliability which is actually important for businesses that depend on consistent uptime for productivity, sales and reputation. Better Performance: When it comes to performance, no hosting option can beat cloud hosting. Until you are tied-up with a reputable hosting provider, you can always expect first class performance with constantly fast load times as lightning speed is used to process dynamic requests. Due to this, cloud becomes an ideal option for the website receiving high volume of traffic. On-demand scalability and flexibility: In case, your resource requirements increase during peak season, you can immediately opt for additional resources (CPU, storage, RAM, etc) without waiting for the customer service or experiencing downtime on your site. Additionally, when your demand decreases, you can instantly cut back the resource requirements. This lets you save time as well as money as the process is instant as well as seamless. Flexible pricing: Cloud offers pay-as-you-go model which means you need to pay only for the resources you use. You can opt for additional resources when you require and as soon as the demand reduces you can stop using them. This offers flexible pricing benefit. Related: An Insight On Misleading Cloud Technology : Are You Really Paying As Per Use? Better security: When you have a cloud hosting plan with you, security isn’t the issue at all. This is because most providers have upgraded their security protocols to secure databases and applications to eliminate common threats like DoS (Denial of Service) attack, malware and cross-scripting. In addition, encryption is also offered to secure data and prevent attackers from infiltrating a network. Though, you aren’t completely immune to any attack, it is possible for you to run the site with peace of mind when hosted on the cloud. Requires good technical knowledge: When working with cloud, you need to have the complete know-how about the working of cloud. Therefore, it isn’t easy for many startups to handle a cloud server. Costly as compared to Shared hosting: Though cloud offers a pay-as-you-go model, it is costly than shared hosting and so, isn’t affordable for many startups and small businesses. It is recommended that if you are a medium- to large-sized business that receives a high volume of traffic and your visitors expect high performance, cloud hosting is the best option for you. If you are a small business or individual who is just starting with web hosting or someone with your own little hub on Internet and your requirements are minimal, shared hosting is the best for you. 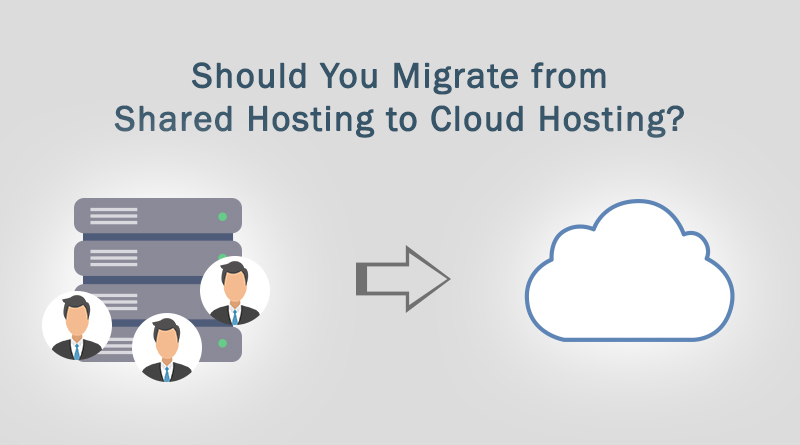 Ultimately, both shared hosting and cloud hosting have their own advantages and disadvantages. Adopting any one of them completely depends on the business needs and situations.